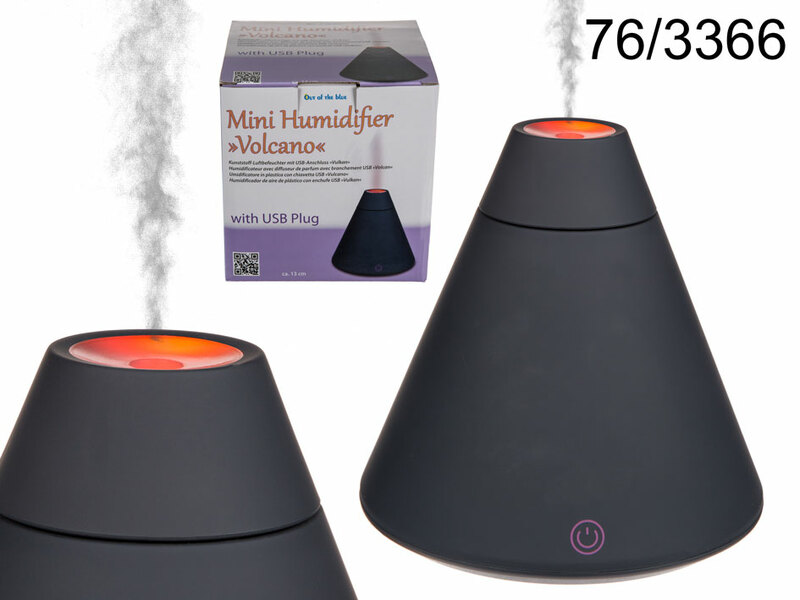 Volcano-shpaed humidifier powered via USB. Diameter: 13 cm. Colour: black. Single water reservoir filling is sufficient for 2 hours of work. Small and lightweight item for both home and office. In addition, it can be used for aromatherapy - just add a few drops of essential oil of your choice to the water in the reservoir. Dimentions: 13 x 13 x 13 cm.